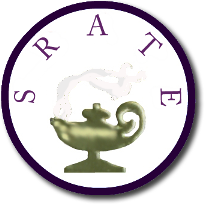 SRATE is a regional professional organization affiliated with the Association of Teacher Educators (ATE). Its purpose is to improve teacher education, broadly conceived, in the Southeastern United States and directly or indirectly throughout the nation by its affiliation with the ATE. All persons who are members of the ATE unit of any member states are entitled to membership in SRATE. Member states are: Alabama, Arkansas, Florida, Georgia, Kentucky, Louisiana, Maryland, Mississippi, Missouri, North Carolina, South Carolina, Tennessee, Texas, Virginia and West Virginia. Click the state name or the state on the map below to connect to the state’s SRATE membership organization. 2019 SRATE Annual Conference | November 14-16 | Check out the event flyer! Welcome Drs. Catherine Gatewood-Keim and Cheryl Lambert from Austin Peay State University in Tennessee as the new co-editors of the SRATE Journal. A special thanks to Drs. Pamela Wash and Lindsay Yearta from Winthrop University in South Carolina and Dr. Tom Buttery from Austin Peay State University for their initiatives and contributions over the years as co-editors/editor. SRATE would like to acknowledge the 2018 Award Recipients who could not be formally recognized at the 2018 conference due to Hurricane Michael and the corresponding cancellation of the conference.